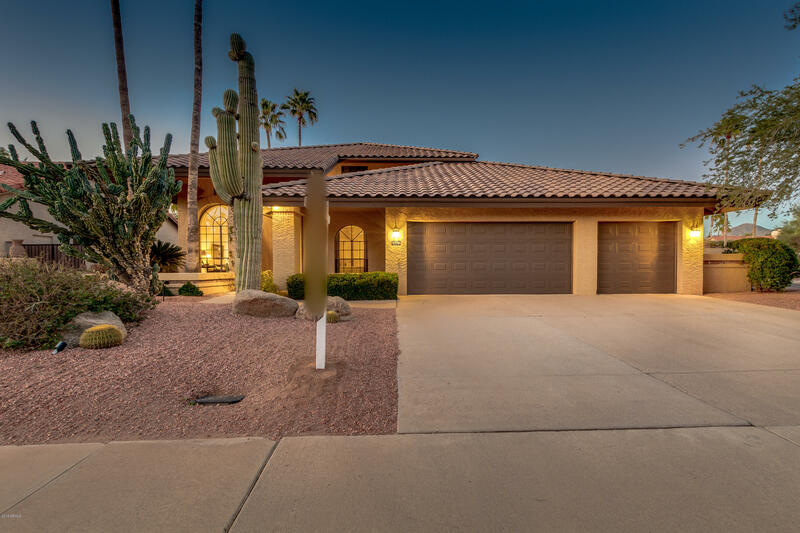 All SCOTTSDALE RANCH 2 LOT 1- homes currently listed for sale in Scottsdale as of 04/23/2019 are shown below. You can change the search criteria at any time by pressing the 'Change Search' button below. "Terrific floor plan features two bedrooms and a bath downstairs and two master bedrooms and a loft upstairs! From your master bedroom, enjoy the fireplace and wet bar in the sitting room and the mountain views from the walkout balcony. The loft is perfect for a den, studio or workout area! Travertine floors in the living room and formal dining room and French doors open up to resort like back yard with heated pool with waterfall & spa, gazebo and built in BBQ! Remodeled kitchen with GE stainless"